The Michael J. Fox Foundation (MJFF), established in 2000, is dedicated to finding a cure for Parkinson's disease (PD) by supporting research agendas toward development of improved therapies for Parkinson's disease patients. Unlike many private research funding institutions that rely on external scientific advisors and boards for how to allocate donor-raised research dollars, the MJFF has an in-house team of trained scientists and project managers that oversee these important decisions, funding more than $700 million in research since inception. MJFF has forged strategic partnerships to provide tools and resources for researchers, and to help people with PD. 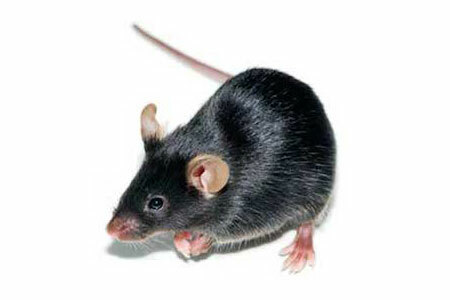 These tools include multiple MJFF sponsored PD rodent models available to the research community. Parkinson's disease is a progressive movement disorder that results from degeneration of dopamine producing cells in the brain. More than 10 million people worldwide are living with this disorder, and the combined direct and indirect cost of Parkinson's including treatment, social security payments and lost income from inability to work, is estimated to be almost $25 billion per year in the United States alone. While it is recognized that there are both genetic and environmental contributors leading to the disease, the exact cause of PD is unknown. Intriguing new research even suggests that the gut microbiome may play a role in contributing to Parkinson's disease. Insights from Parkinson's genetics studies over the past 15 years have revolutionized the search for a cure. One of the most important genetic targets in PD is the leucine-rich repeat kinase 2 (LRRK2), discovered in 2004. Mutations in this gene are thought to represent up to two percent of total Parkinson's cases. MJFF is funding a large LRRK2 Consortium to test critical hypotheses about both normal and pathological LRRK2. With over $57 million in investments to date, MJFF's outside-the-box approach to LRRK2 drug development aims to make LRRK2 as relevant in the doctor's office as it is in the research journal. Recent research describes the presence of LRRK2 in immune cells and its relationship to Parkinson's disease. Additionally, MJFF provides further information about their MJFF LRRK2 research efforts. A great example of the Michael J. Fox Foundation's commitment to providing access to important models via strategic partnerships is illustrated by their work with Taconic Biosciences to make LRRK2 models available to researchers. Dr. Nicole Polinski, an Associate Director of the Preclinical Tools and Animal Models portfolios at MJFF commented, "Providing researchers with open access to pre-clinical models is an important investment for speeding research into the pathology and treatment of Parkinson's disease. This model (LRRK2 G2019S Mouse) in particular is novel and advantageous in that it is a targeted mutation with endogenous regulation and may therefore recapitulate the LRRK2 G2019S-related pathological mechanisms of this clinically-relevant mutation." P. Matikainen-Ankney BA, et al. 2016. Altered Development of Synapse Structure and Function in Striatum Caused by Parkinson's Disease-Linked LRRK2-G2019S Mutation. J Neurosci. Jul 6; 36(27): 7128-7141. PMID: 27383589.